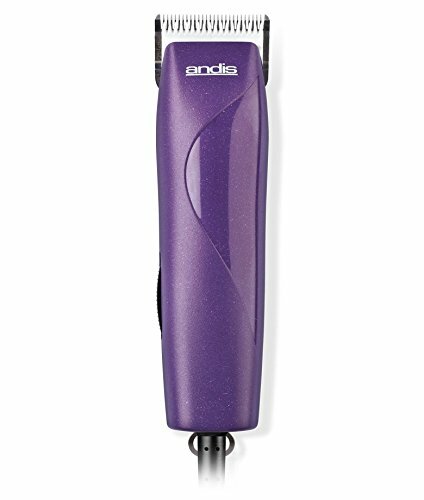 Andis EasyClip Pro-Animal 7-Piece Detachable Blade Clipper Kit, Animal/Dog Grooming, Purple MBG-2 (21420) by Andis at Annie's Dog Spa. MPN: 21420. Hurry! Limited time offer. Offer valid only while supplies last. Break-resistant housing and 12' heavy-duty cord. Kit includes durable hard storage case and 4 attachment combs sizes 1/8", 1/4", 3/8", 1/2" for longer cutting lengths.